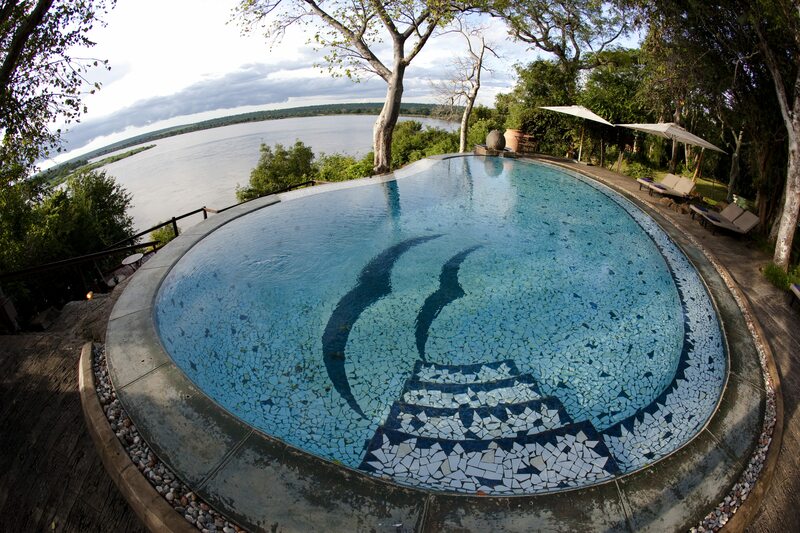 How about some wonderful suggestions of gorgeous places to stay along the Zambezi River? Over the years our guests have shared their favourite places to stay whilst on this wonderful river. 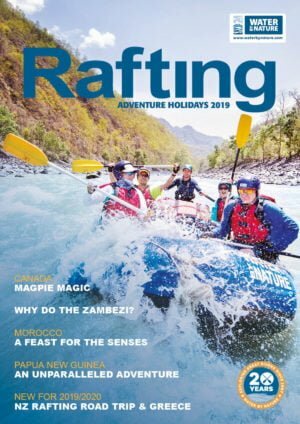 While this is by no means a definitive list or in any particular order, we hope you’ll take the time to spend a few extra days and sample some of these wonderful places along the Zambezi River in and around Livingstone. 1. The River Club: For some SERIOUS luxury, pop in and see Mr Jones and the team at this colonial marvel. It is SO classy, it doesn’t appear pretentious. Enjoy being woken up by the hippos that you’ll hear from your gorgeous bed, with open plan living to take in the most gorgeous views of the river. 2. Taita Falcon Lodge: Hidden from view unless you glance upwards floating down the Zambezi River above Rapid 17, this rustic secret is a wonderful retreat. Faan and AnMarie are wonderful hosts and will take care of everything. 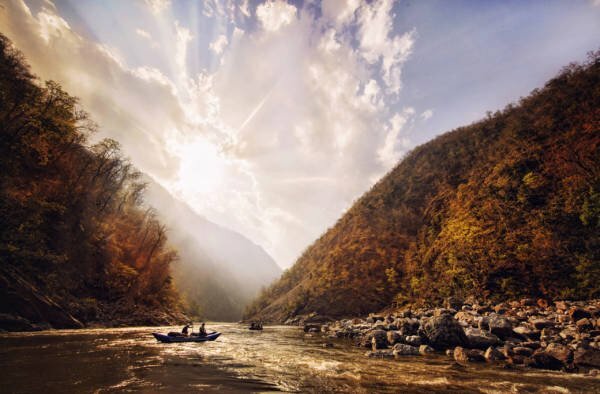 On our river trips, your helicopter flight back from the river concludes by landing here. 3. Moemba Falls Beach: For many of our guests, this is the beach along the river they love so much. 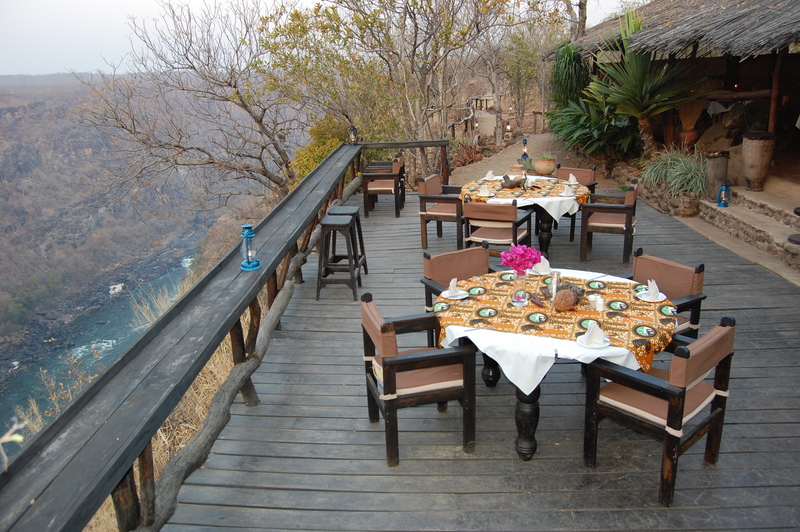 Not only for the gorgeous two tiered beach heading down to the river, but over the back of the beach, you’ll be treated to world class views at Moemba Falls where you can partake in wine and cheese evening. Sound okay? 4. Bobo Beach: The second night on our river trips sees this huge beach as our home for the evening. 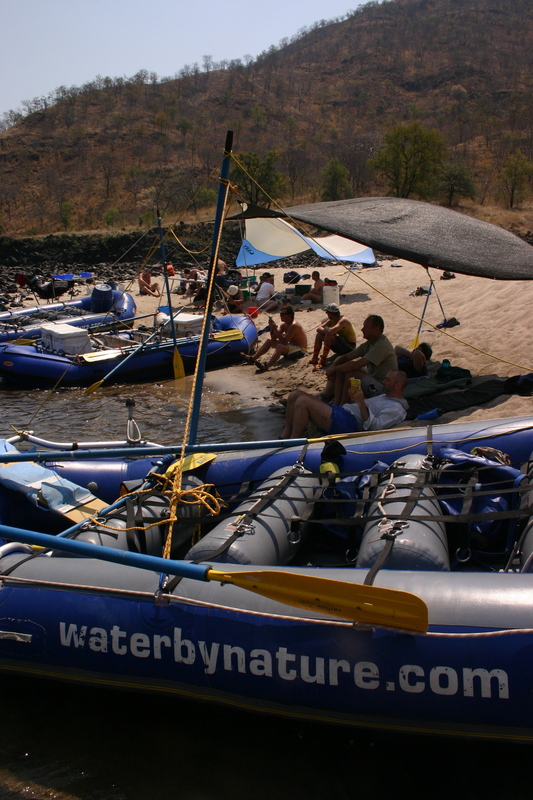 The flat water leading into the beach provides the perfect opportunity to enjoy an ice cold beer and celebrate another great day on the Zambezi conquering such great rapids as “Oblivion” and “The Mother” The sunsets on the rock walls here are spectacular. 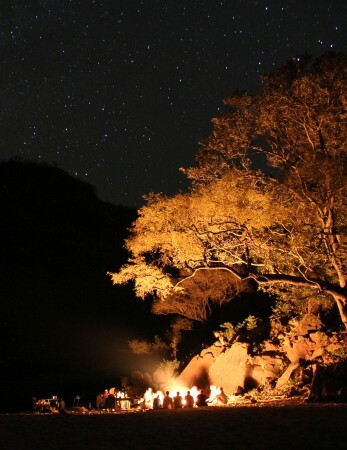 Not a bad place for a campfire. 5. Asleep At The Wheel Beach: A great treat for people wanting to head down to Matetsi River Mouth on the 7 day Mighty Zambezi Rafting holiday, where the river splits in 2 and you take a narrow meandering channel that opens out into a wonderful large swimming hole, with a three tiered beach and a pair of nesting African Fish Eagles nearby. 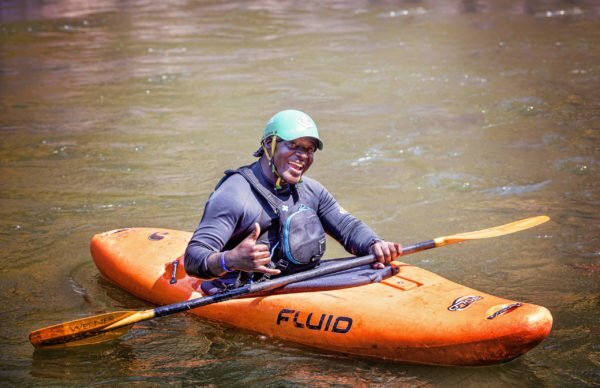 The Zambezi River, Africa’s fourth largest river is a very special place, whether on the calm stretches above Victoria Falls or lower down in the Batoka Gorge. Be prepared to be amazed. 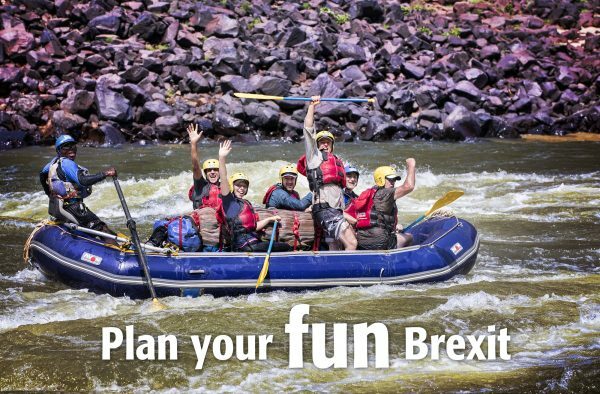 Don’t forget to enter our Zambezi Rafting Competition for a chance to win a trip on this great river for yourself!